Update and first time off road in new Jeep! Thread: Update and first time off road in new Jeep! Enjoyed Thanksgiving with my brother and his wife! 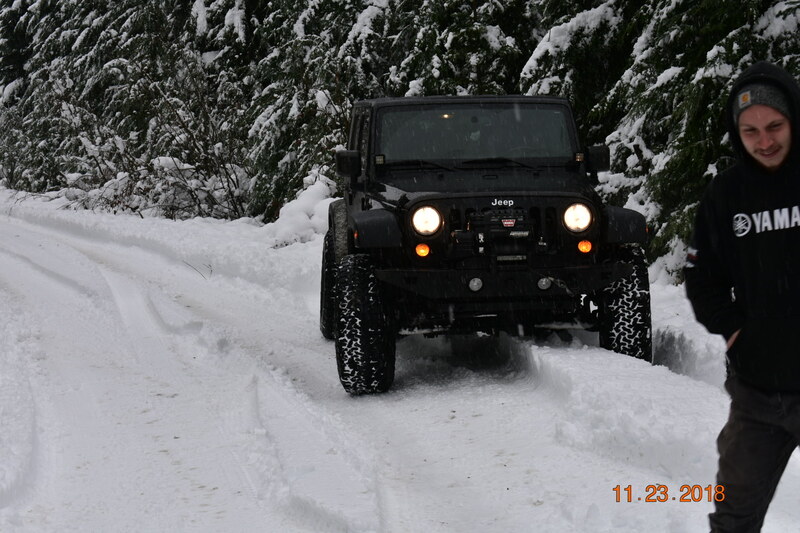 Next morning we looked over my Jeep, with the exception of the winch not working! It looks as though whoever had owned it before, hadn't wheeled it, and the wiring was done very well. Indicating professionally done! 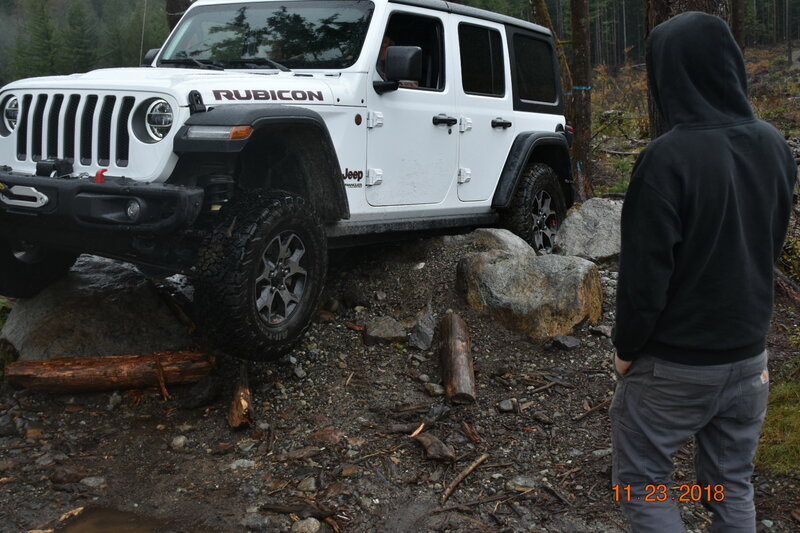 Now was time to see and feel off road capabilities! 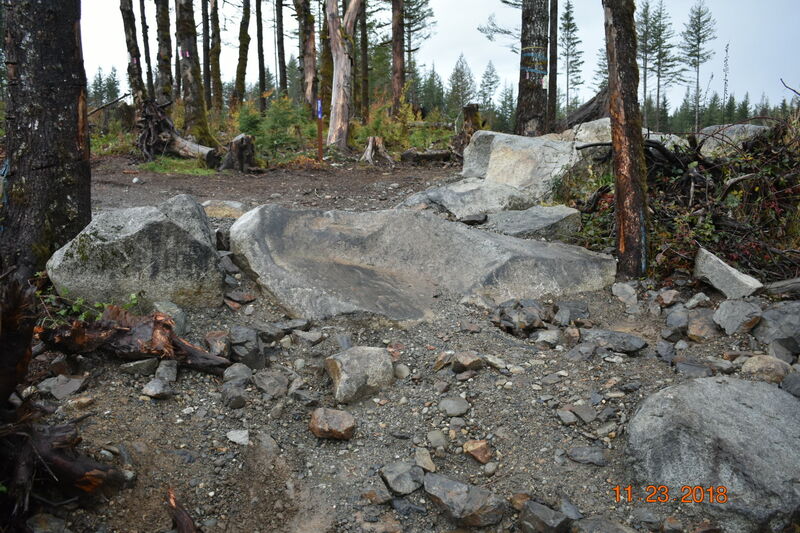 We were already in Gold Bar WA. 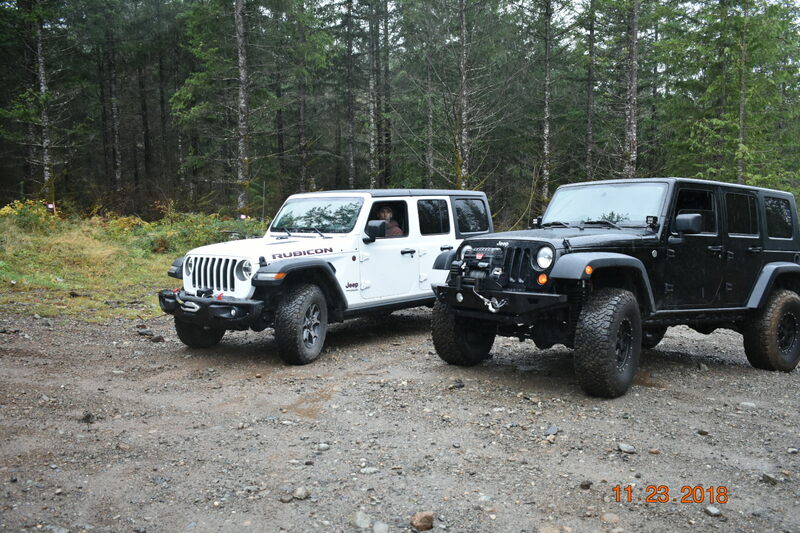 So we started off at Reiter nothing crazy, he has a 2018 Jeep and I know he's not going to mess anything up on his rig. With a lift and 37s had a lot more clearance! 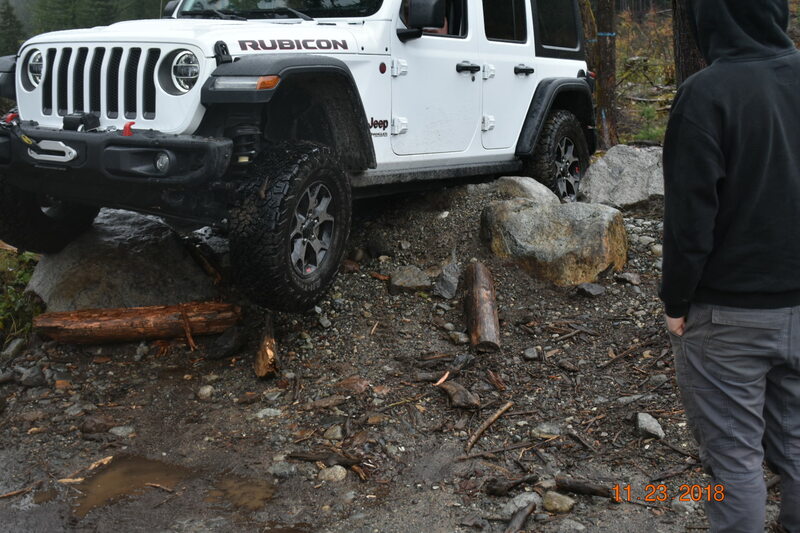 The first obstacle was climbing up a steep hillside, once I lost traction, dropped it into 4 low and locked it up. It walked up that hillside with no issues! Went on did some tough rocks. Just took things slow and easy. Had it in 4 high over most of them. 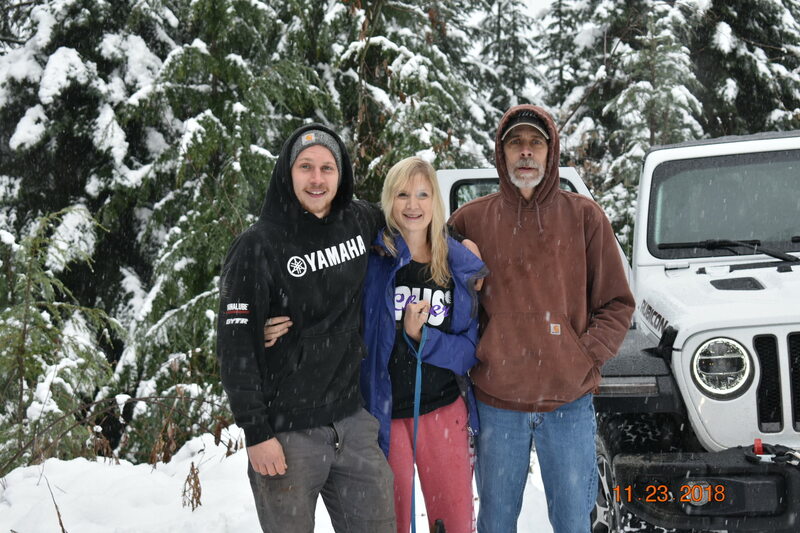 After his son showed up, we went further up the mountain to check out the snow. 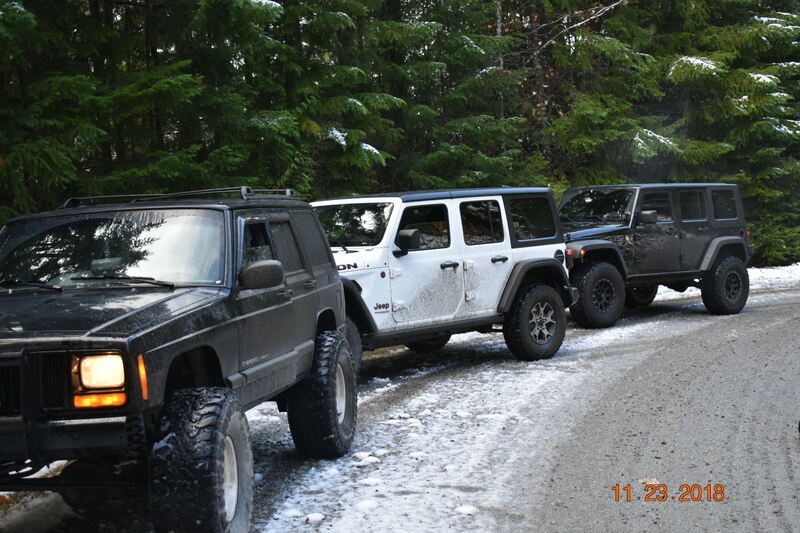 Went up Hwy 2 and took a side road off. A mile or two in we hit the snow! Was a good 8-10 inches deep. 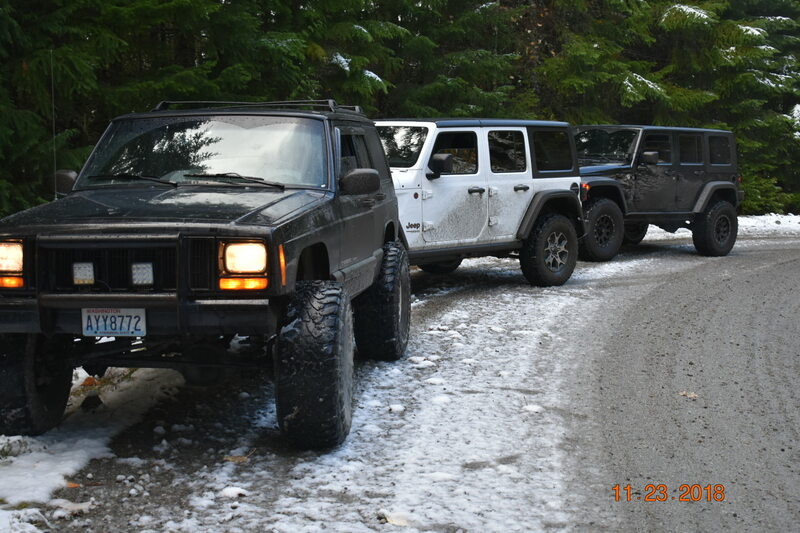 Was making a point to stay on the trail, could see where others had driven. Then I remembered what I was driving and turned into the snow. I plowed through it like it wasn't even there! Started having issues when time to turn around. The snow was deeper, and was on a bit of a slope. Had to lock em again but pulled out of there easily. Once on the road home, was one happy MF!! My new Jeep handled everything with ease! 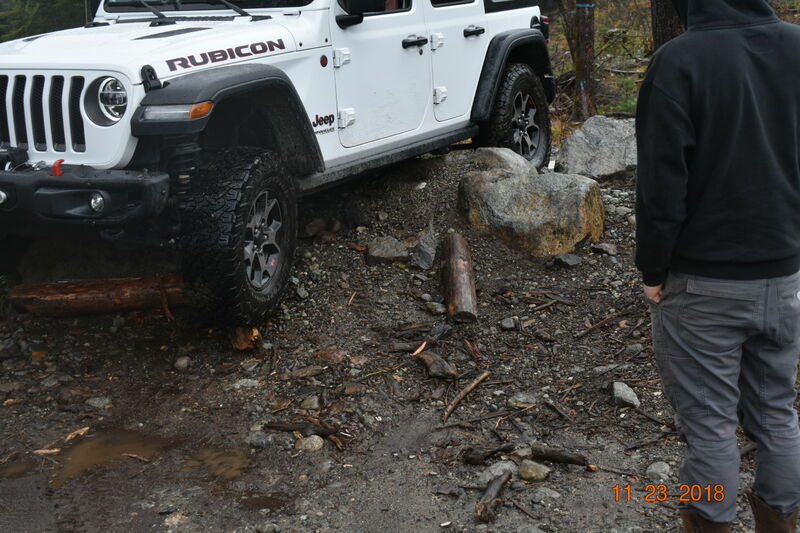 No one broke anything, got to test out rock sliders a few times. Very impressed with its capabilities! So now to deal with my broken winch! I contacted dealership, asked if they could take a look at. Turns out a rusted connector was to blame! The mechanic soldered it, put some rubber sealant on it, and taped it up real good. My winch has an air compressor on it as well so now need an air hose, for my next off road test. 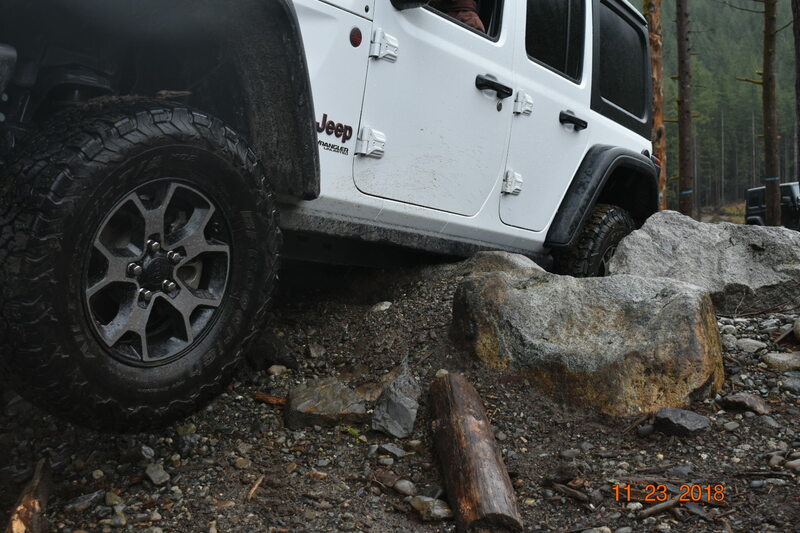 Re: Update and first time off road in new Jeep! Sounds like fun! Glad the winch was an easy fix. 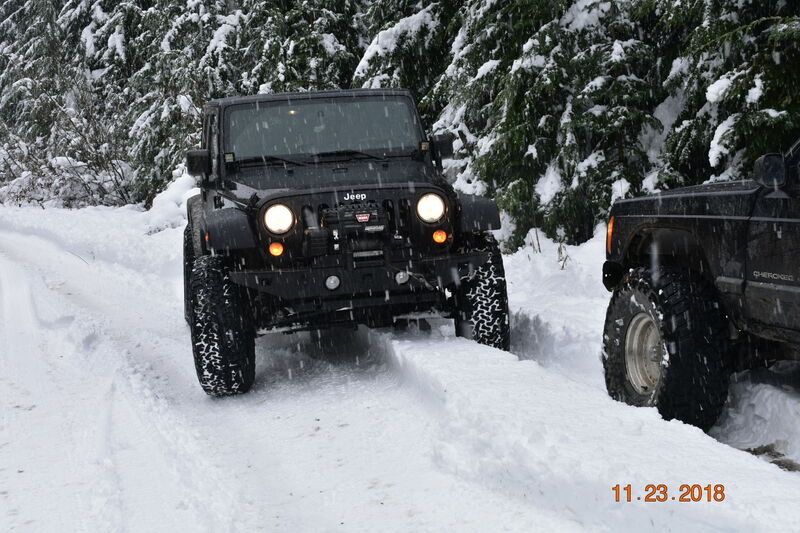 I've never been offroad in the snow but it looks like fun. UPDATE Holy Crap I have been gone a long time and things have changed!!! 3rd time jeep owner...this time i got it right! Quick update non jeep related!